This is (almost) all the food we ate during our 2 weeks in South Korea. The absolute number one thing we were looking forward to in South Korea was the food. We were introduced to new dishes we had never had before, and some old dishes that we had eaten bastardized versions of. This post consists of photos (some of which lack quality because they were taken on my phone – or maybe because I was all like “screw these photos, I just wanna eat this!”), videos, and information that will help you find the perfect meal in South Korea. Note: This list has been modified from its original version. It has been formatted to hide our McDonald’s shame. This is a gallery of the food we ate in Myanmar. Some of it isn’t typical Burmese food, but I’ve decided to include it to give you guys an idea of what you can eat while traveling in Myanmar. Food in Myanmar is varied. You’ll see some Chinese dishes, some Indian dishes, and or course traditional Burmese food. I’ve also included drinks of Myanmar – mainly tea – Burma’s favorite drink. I’ve tried to provide information on where we had the food, and how much it cost. We arrived in Myanmar late at night. We flew into Yangon and then immediately transferred to Heho where we took a taxi to Nyaung Shwe, the town that acts as the jumping off point for Inle Lake. It was dark when we arrived. We had no idea what beauty surrounded us as we slept that night. Tour boats in Tam Coc’s lake. We didn’t end up doing any boat tours. Edit: I wrote this after traveling in Vietnam for the first time. Since then, I moved to the country, and went totally nuts on the food. If you want to learn more about the cuisine, check out my Food-Lover’s Guide to Vietnamese Food. It took me 2 years to make and contains over 75 dishes. 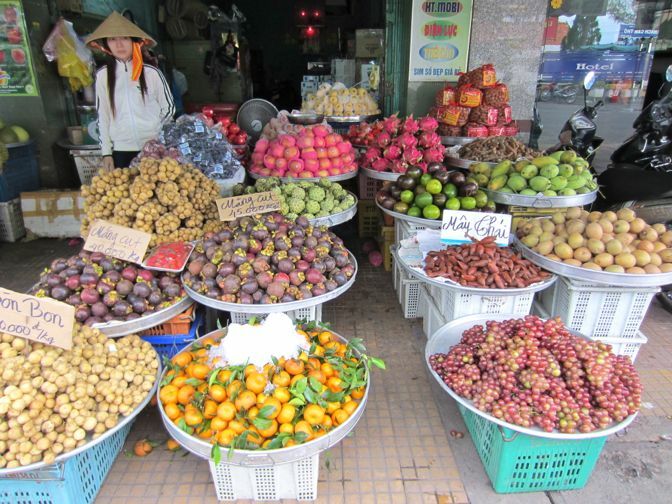 Vietnamese Tropical Fruit (and how to eat it). Given its geographical position, it’s not surprising that Lao cuisine is heavily influenced by its neighbours. 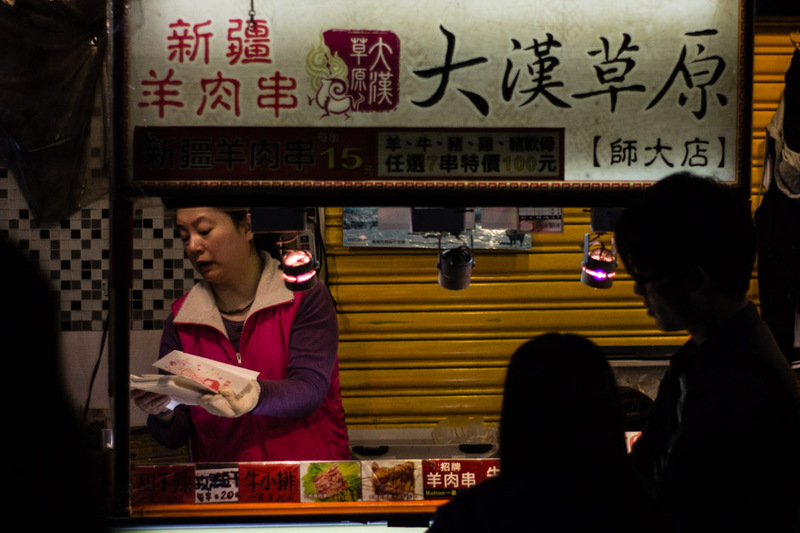 It is easy to find a Chinese, Thai, and Vietnamese flair in their dishes. However, there are delicious eats that are Laotian in origin: larb, papaya salad, and their penchant for sticky rice cooked in bamboo to name a few. Of course, don’t forget to wash it all down with a glass of national pride: Beerlao. Cambodian food isn’t nearly as widely known as Thai food, but it is still one of the world’s most balanced cuisines. It’s simple but customizable. Rice is the staple — in fact, in Khmer there are over 100 words and phrases for rice. For more information on Cambodian cooking, pickup this book: Cambodian Cooking: A humanitarian project in collaboration with Act for Cambodia. It’s written by Joannes Riviere, a French chef who has one of the best restaurants in Siem Reap, Cuisine Wat Damnak. One of Cambodia's most famous dishes, Lok Lak. The food of Thailand can be hearty, soothing, tongue numbing, surprising, colourful, heavenly. It’s usually delicious. Sometimes disgusting. Often cheap. Here are some of the dishes we tried. Pad Thai. Probably the most well known Thai dish, and for good reason -- it's yummy!